What a fun discussion thread! …turned into a series of them, actually, as a prelude to the Playdate dress a couple of weeks later! My first submission to flickr was the bedtime story pajamas that I sewed up in August of 2009, but didn’t get the guts to submit until December! 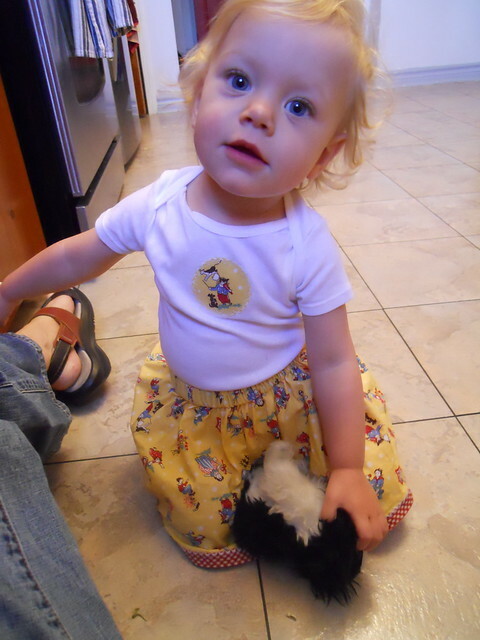 But my very, very first successful sewing project (ever) was a lazy days skirt, way back in February of ’09! I had been wanting to sew up these cute O+S patterns so badly (there were only a few at the time!) that I went out and bought a sewing machine and through great trial and error learned to use it to sew all these cute things I was seeing on the web. I still remember puzzling over the directions with my husband like the total newb I was, “Right sides together? How can you tell which is the right side and which is the left side? I will never learn to sew! !” It sounds silly to tell most people, but learning to sew has been the (second) most fulfilling thing I have done in my life. So thanks, for all the inspiration! I think my upload date is wrong in Flickr. My first pattern was the playdate dress for my oldest who was 5. That was almost exactly 2 years ago. 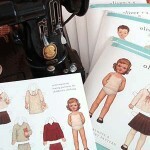 I think it was Oliver and S that really got me sewing again. I just can’t remember how it all happened. My taste isn’t usually this classic, nor my color palate this sedate, but I really love this dress and am very proud of it.